24 Hour residential & home remote video monitoring solutions. 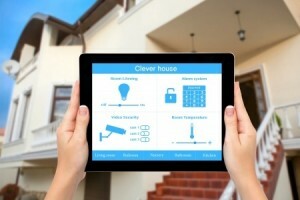 Keeping tabs on your home from afar has become one of the biggest features in home security. Remote video monitoring solutions add an extra layer of professional protection and comfort to your residential security system. 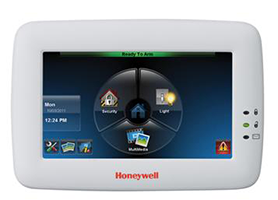 Our staff of remote monitoring professionals supplies your home with 24 hour, around-the-clock protection. Need assistance in the middle of the night? No Problem! Never feel unprotected or helpless again! Our staffed is professionally trained to identify security risks, while sending the proper support you need and require. Remote video monitoring systems have became one of the most popular modern residential and home security options and solutions. They help you to keep track of the things that matter most to you, while maintaining your piece of mind. Our systems do far more then just remote video monitoring. You have access to a number of different components in your home. You can control your door locks, lights, thermostats, and video feeds all from one easy to use interface. Remote video and monitoring systems gives you superior protection then most traditional residential and home security systems, at around the same costs. Looking for a reliable surveillance camera solution? With so many options on the market, some people can become confused by the barrage of features that these systems contain. Our state-of-the-art surveillance systems allow for remote video monitoring. Imagine logging into a PC, smartphone or tablet anywhere in the world, and viewing a live feed of your own security cameras. 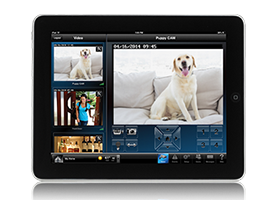 With a remote video monitoring solution, you can keep a close eye on your home, even when you are away.